Homemade holiday cookies are one of the quickest, easiest, and tastiest gifts you can give to all the co-workers, neighbors, friends, teachers, and more on your list. 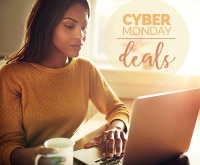 Whether you have a family classic you make year after year or like to try all the latest and greatest cookie concoctions, cookies gifts are typically inexpensive and ideal for mass production. 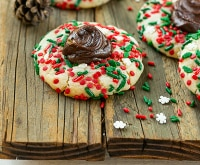 Up the ante and host a cookie exchange with your friends and family! We’ve got cute ideas and printables waiting for you here. While almost everyone is happy to find a plate of cookies on their doorstep this time of year, make your batch a little extra special by dressing it up with one of these fun tips for packaging Christmas cookies. A little extra tissue, paper, and ribbon can go a long way in transforming a single batch of cookies to a super special gift! Have the packaging figured out, but need new cookie recipes to try? These no-bake options are always a crowd pleaser, and these recipes are ideal for the budget-conscious baker! There’s no need to invest in a pricey container that will just get tossed away after the cookies are gone. 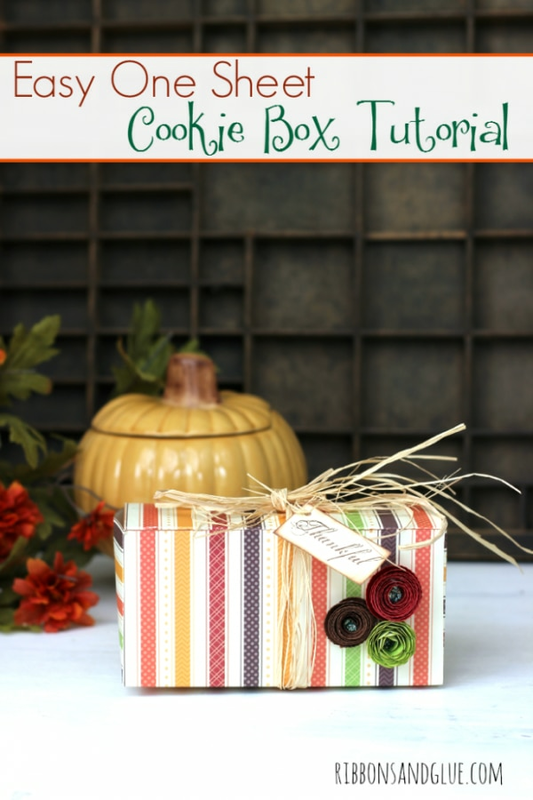 Instead, use this clever tutorial to fold a single piece of 12×12-inch cardstock or scrapbooking paper into a sweet little gift box ideal for holding holiday treats. Find festive and adorable scrapbook paper at Michaels or on Amazon! 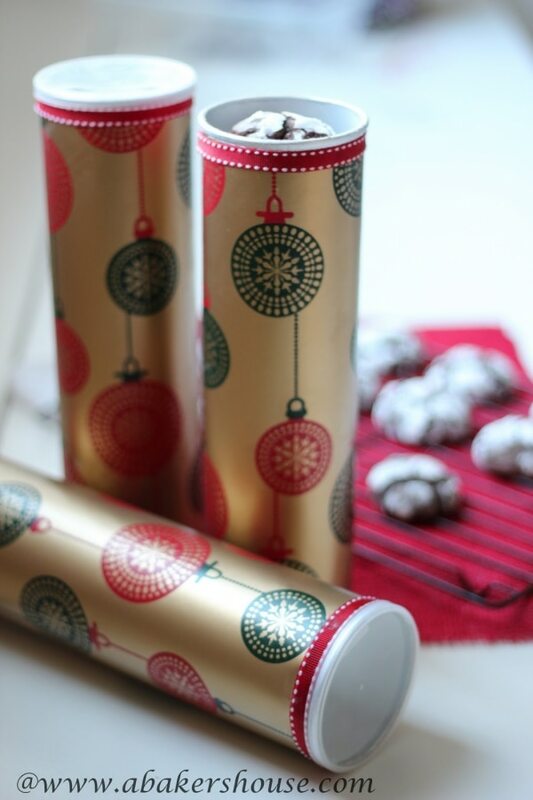 Save your Pringles® cans throughout the year and re-purpose them as tube containers for holiday cookies. Some pretty papers and ribbon camouflage their real identity! You can even save on your next chips purchase with Pringles® coupons! This pocket basket made from paper is a fun and unique way to deliver treats. Each little pouch could be dedicated to hold a unique sweet, resulting in an exciting variety of flavors. 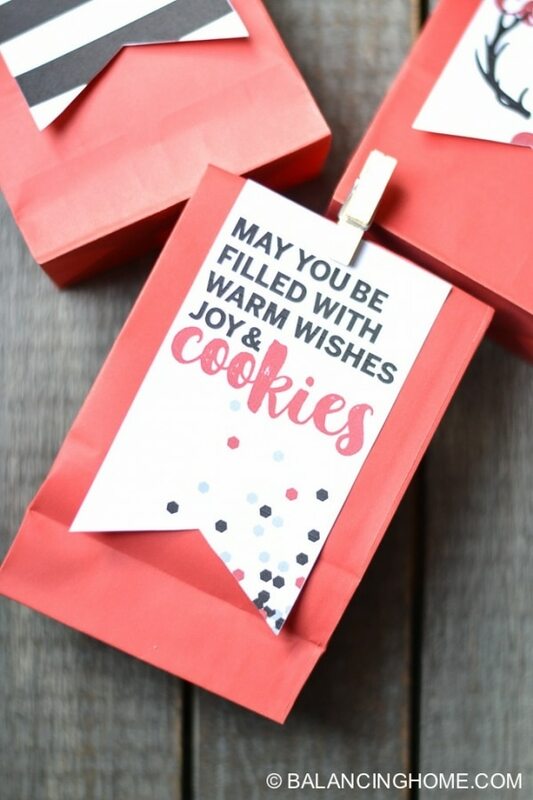 If you’re using cookies more as a party favor or classroom gift, try this cute packaging technique. 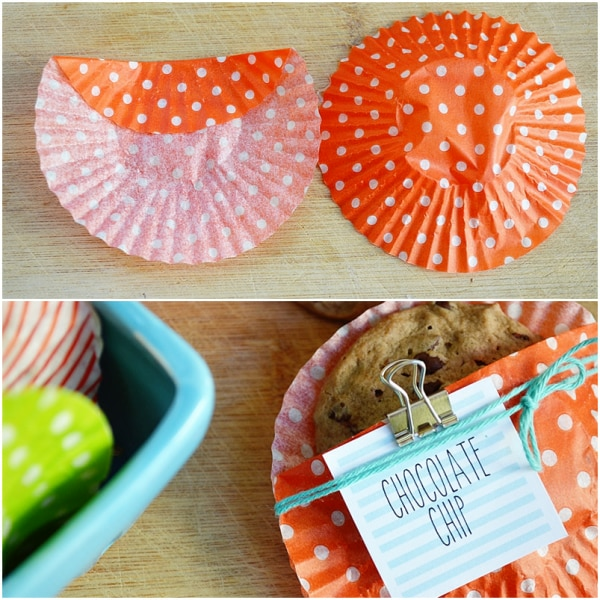 Simply glue two cupcake liners together to create a pouch. Slide in your favorite cookie with a note and tie it off with a yarn bow! Does your cookie recipe call for candies? Save money on sweets with Mars® and Nestle® coupons! Design and print stickers onto adhesive paper and put them on basic brown gift bags. Tie on a whisk to make this simple solution feel extra special. 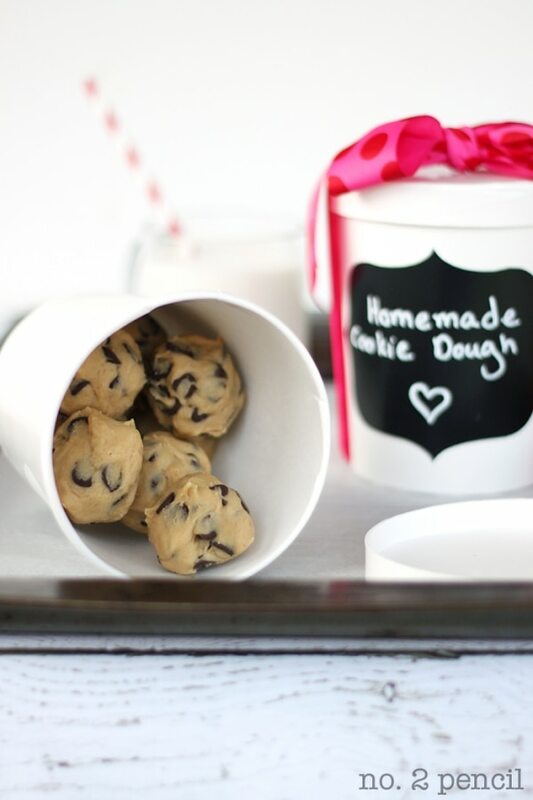 Save time and a little extra money by keeping an eye out for Pillsbury® frozen cookie dough coupons! 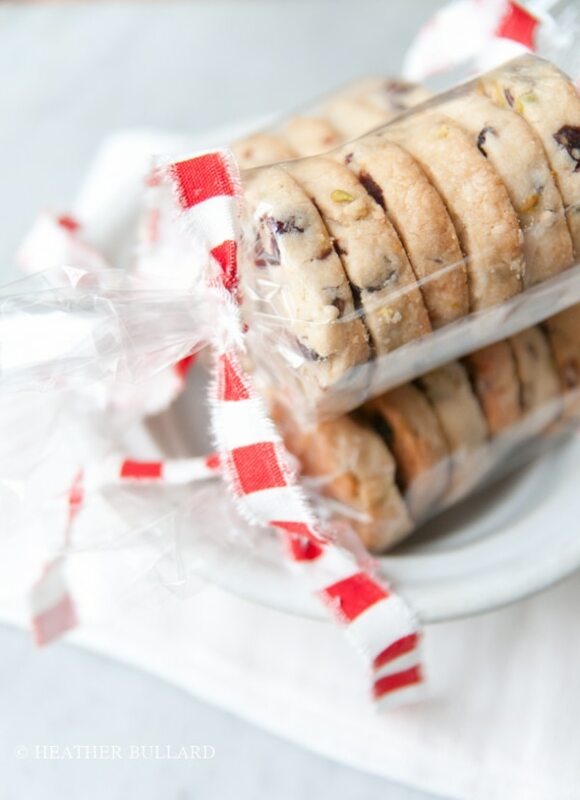 For quick and simple treats you can easily pass out to the whole office, prepare sturdy cookies that can be stacked and rolled with cellophane into little bundles. Tie on pretty ribbons and gift tags to finish it off. 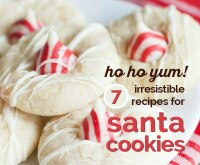 Any of these 17 decadent Christmas cookies would be great to add to your cookie packages! 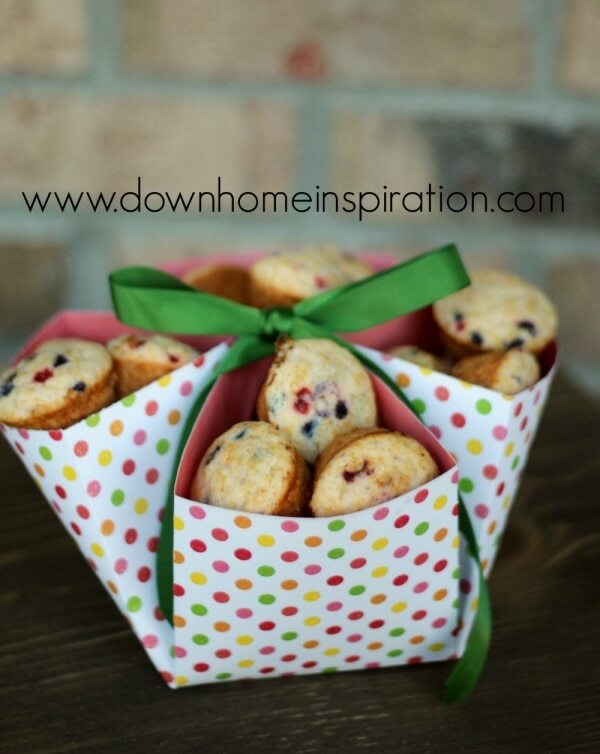 Turn plain lunch sacks into something spectacular with this clever folding and sealing solution. Decorative tags and a cheery pom-pom make the brown paper sacks barely recognizable! Sending cookies to a loved one far away is always a sweet sentiment until they arrive in crumbles. Use this pretty (yet sturdy!) packaging technique to ensure your cookies travel safely. Before shopping for your Christmas cookie ingredients, be sure to check for Challenge® and Country Crock® butter coupons! Load up basic cardboard gift boxes with your favorite treats, then wrap with big bows and a sprig of fresh holly. Big, festive bows make even the plainest of boxes feel special and gift-worthy. 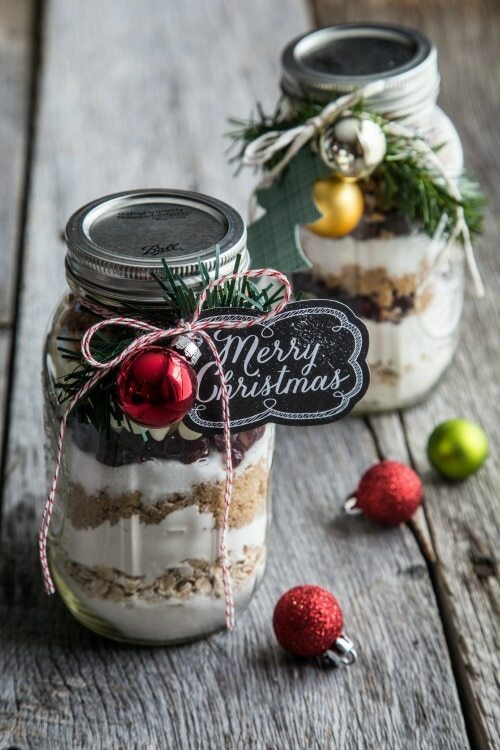 A jumbo-sized mason jar is ideal for holding stacks of pretty cookies in a very presentable manner. Finish the jar off with a sticker label and a pretty patterned lid. Ultimately, most recipients just want to see (and taste!) the treats inside. 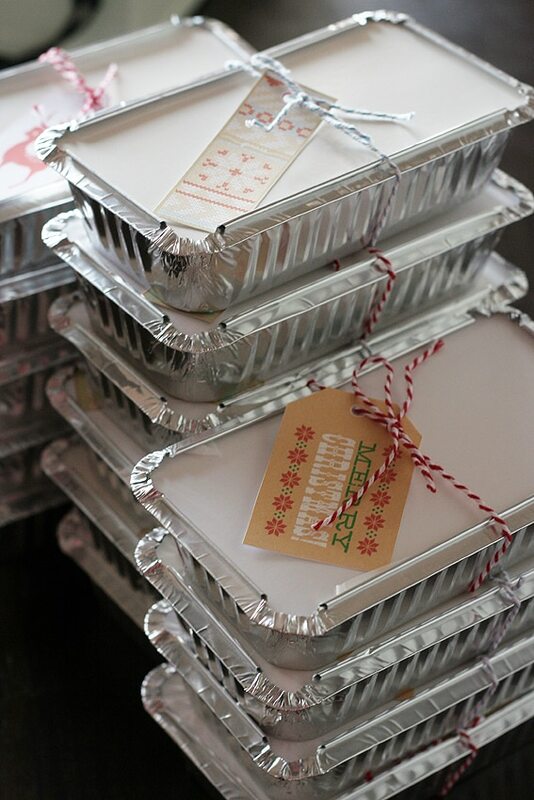 You don’t need to stress over fussy packaging; just use basic aluminum to-go boxes! 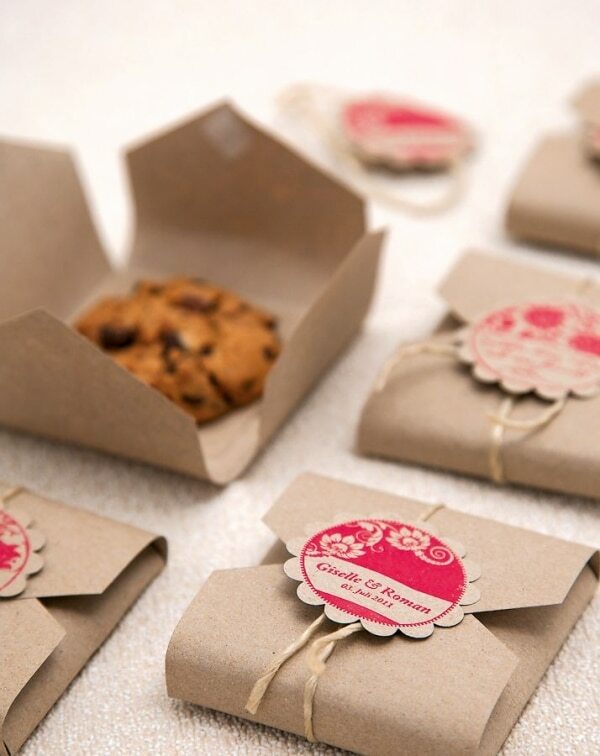 Tie on pretty tags so people don’t mistake your cookies for their leftover lunch. Little cardboard pouches, typically associated with fast-food faire, are a fun way to package up small treats, sweets and candies. These pouches can be found in any craft store. 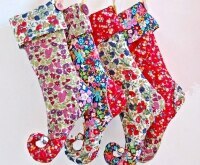 Consider adorning them with ribbons, tapes, and embellishments to dress them up for the holidays. 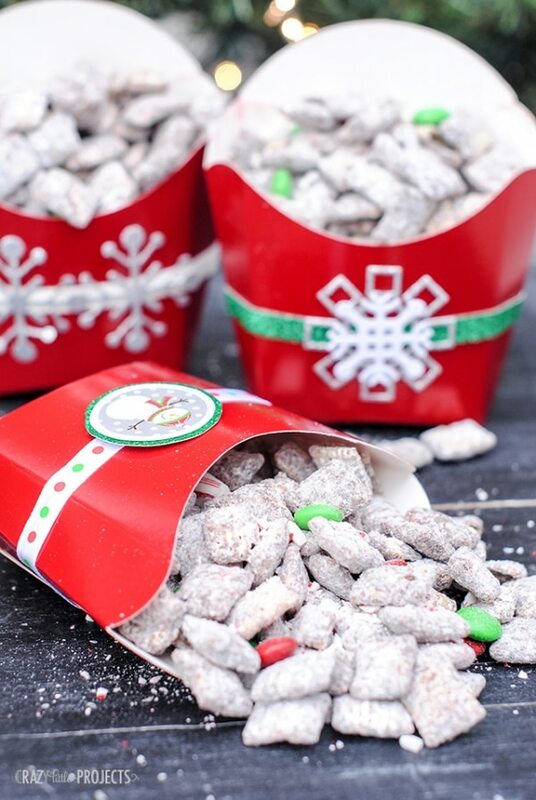 Grab some Chex™ coupons, then whip up some batches of puppy chow and tuck them into these colorful snack pouches. 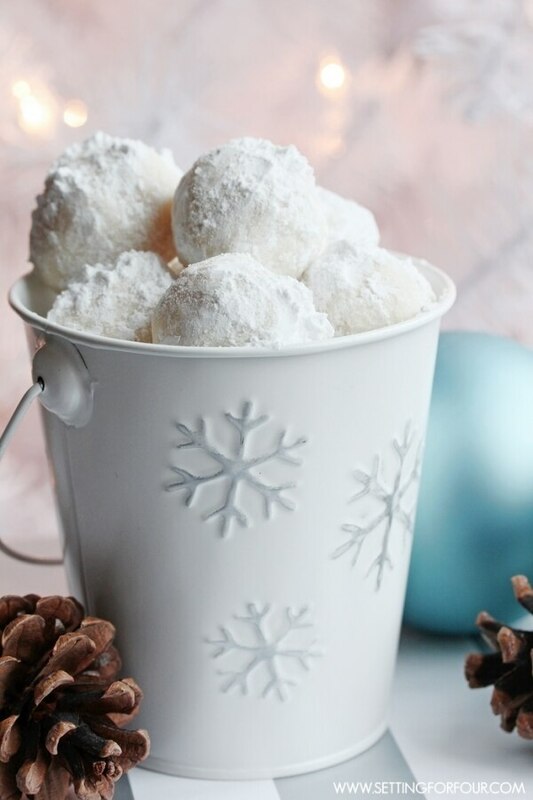 Little holiday-themed tins and buckets are inexpensive and can be found in many stores. Stock up on a variety of patterns to give throughout the season, or pick tins that match your cookies for a coordinated look. Empty tin foil and wax paper boxes are the perfect size for holding a generous stack of cookies. 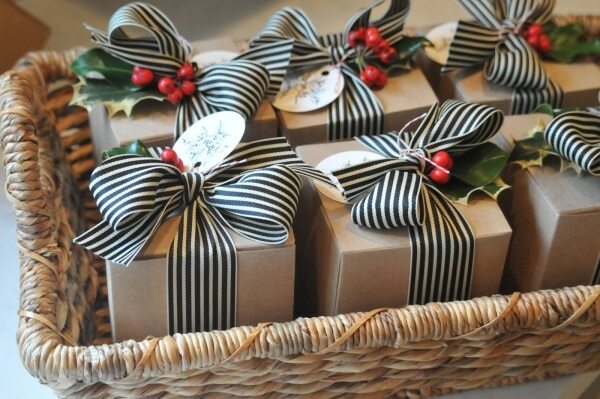 Wrap each box in decorative paper and tie tight with a string. Just make sure you cover or remove the serrated edge to keep hungry fingers safe! 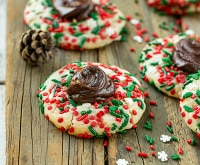 Add a little chocolate to your batch of holiday cookies and save with Hershey’s® coupons! 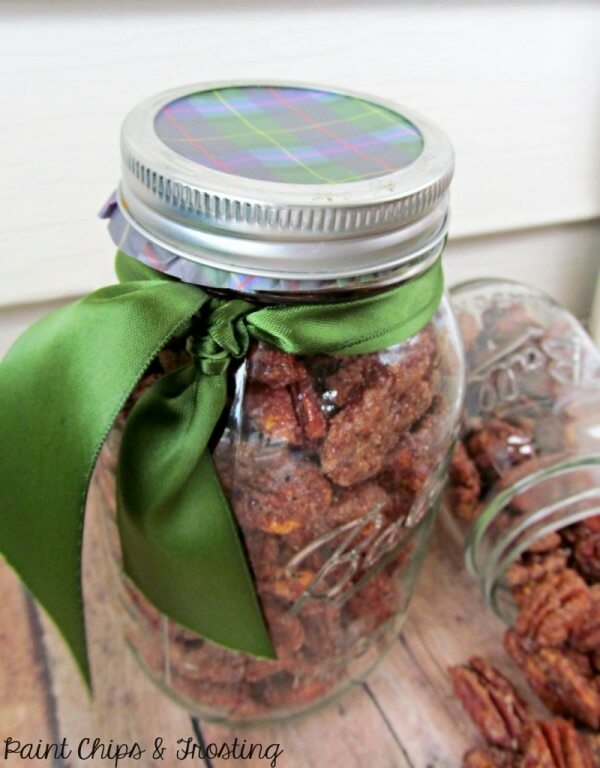 Small mason jars are great for holding tiny treats such as candies or nuts. 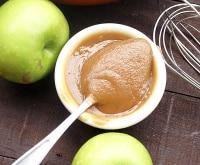 Your recipient might enjoy the break from traditional cookies, and these are quick and easy to make in large batches. Fancy up a plain jar with a patterned lid and pretty bow. 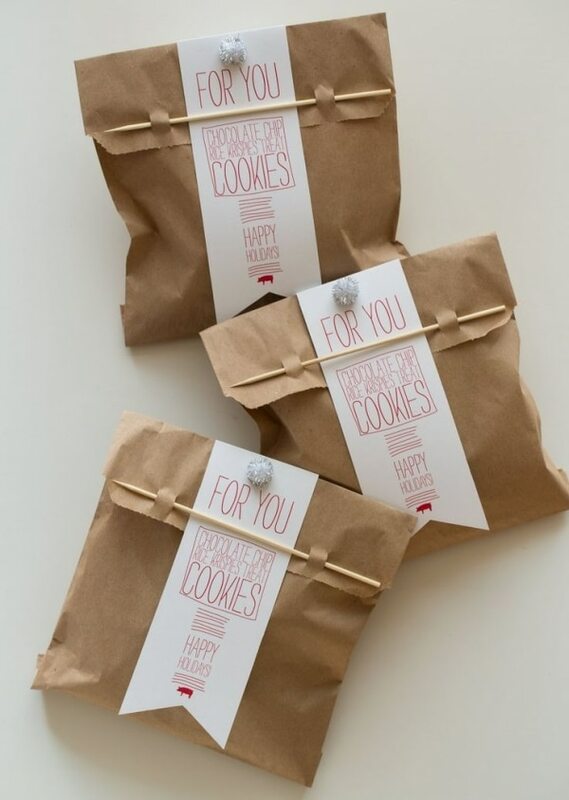 Small little goodie bags are the perfect size for gifting a single serving of cookies. 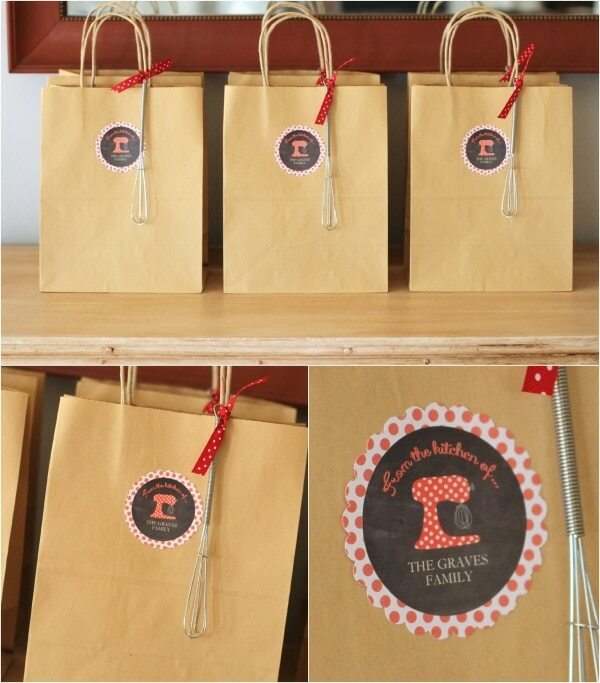 Combine the bags with these adorable gift tags that you can download and print right from home! Give a nod to the traditional cookie jar by gifting a large glass jar filled with a generous serving of your favorite cookies — or all the ingredients needed to bake up your favorite cookie recipe! 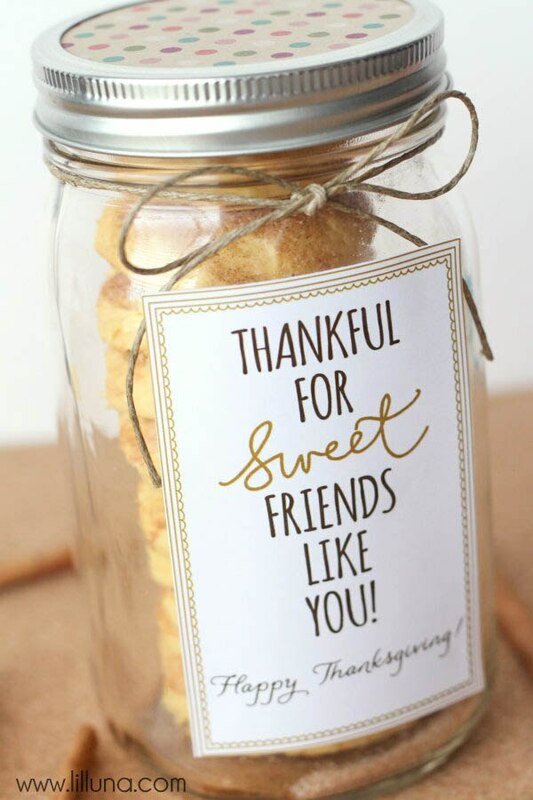 Basic jars can be found pretty inexpensively at home and craft stores, and can be used for a variety of things long after the cookies are gone. If your budget is tight and your supply stash is low, don’t fret! 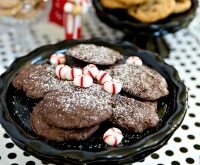 You can still make adorable gift baskets of cookies with a simple paper plate. This tutorial shows you just how to do it. Instead of a bunch of cookies, consider making one giant, really tasty cookie for your entire gift list. 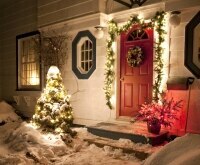 Package them in cute little envelopes folded out of paper and add a decorative tag to sing the sentiment of the season. 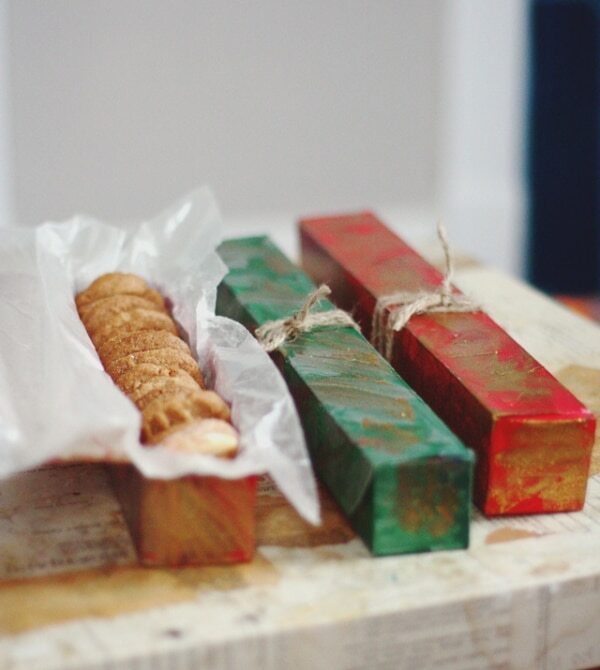 Gifting cookies doesn’t have to feel lame or impersonal. By focusing a little on the presentation, your plate of cookies can go from boring to brilliant. Combine your favorite sweet treats with one of these festive packaging ideas, and you’ll have thoughtful and creative gifts anyone would love to receive (and eat!). 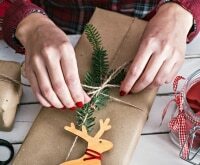 If you’re looking for more clever and easy wrapping ideas, check out our suggestions here!